إذا كنت تبحث عن عقار بموقع جيد في المدينة، فقد وجدت ضالتك في Swansea Backpackers. يحظى هذا الفندق ذو 3 نجمات بمكان ممتاز يسمح بالوصول إلى المعالم السياحية الأكبر في المدينة، فهو يبعد مسافة 0.1 Km عن صخب المدينة. يوفر العقار بفضل موقعة الجيد وصولاً سهلاً إلى أهم معالم المدينة.
. كما يقدم Swansea Backpackers الكثير من الخدمات لإغناء رحلتك في المدينة. يقدم العقار تسجيل وصول/خروج سريع, تخزين الأمتعة, واي فاي في المناطق العامة, صف السيارات, غرفة عائلية لضمان الراحة القصوى لضيوفه. استمتع بوسائل الراحة الراقية في الغرف أثناء إقامتك هنا. بعض الغرف تتضمن تلفزيون بشاشة مسطحة, سجاد, رف للملابس, بياضات, مرآة لمساعدتك على استعادة طاقتك بعد يوم طويل. إن حديقة هو المكان الأمثل في الفندق للاسترخاء وتفريغ طاقتك بعد نهار طويل. استمتع بخدمات لا يعلى عليها وعنوان ذو اعتبار في Swansea Backpackers . There was someone in our room when we arrived. Bad smell in the room that we never got rid off. The toilets and showers were completely over flooded. Would not repeat again. Nice staff but very loud as rooms are next to camping so there is noise until past 12 am. Rooms are very hot with no fan. Room was dirty, there were no bed sheets just an undressed mattress and duvet which had yellow stains and hair on them. There wasn't any staff present for assistance despite arriving during check in hours. Kitchen / common area looked OK but didn't stay to use them as we left to find accommodation elsewhere. Lovely and quiet place. Very clean and have all the facility we need. Slightly far from town. Nice enough, but I won’t stay again. There are only two women’s toilets, which is pretty ridiculous. It led to some crazy queues and in one case I went next door to the bakery to use the loo. The rooms face out onto a central courtyard, which can get pretty noisy at night. There was a fight between a couple of men the first night we were there that lasted a couple of hours. The staff are pretty absent, which meant that the fight just kept going and going. The double room we were staying in only had a tiny window that didn’t open so it was stuffy and dark. The courtyard is cute, but the camping area and surrounds looked like a rubbish dump. Cheap place to stay in Swansea. I opted for a dorm bed. It is actually kinda like a capsule style hostel. Bed was comfortable but I would appreciate to have some kind of lockers with every bed so that you don't need to carry your valuables with you whenever you are not in the hostel. Wifi was never really working. We are in the 21st century and when you can't even receive or send simple e-mail because of slow connection, you can't called it the internet. Probably haven't seen this slow internet for over a decade. Kitchen could be cleaned more regularly. The same goes for bathroom. There wasn't even soap in the bathroom! Fridge in the kitchen for too small for all the guests so no space for everyone's things. On the positive side, friendly staff, big parking and walking distance to shops, bars and restaurants. Room smells badly, bed and towels are old and smell as well. Nice,clean shared kitchen and living room. Just one hour good location driving to Freycinet national park. 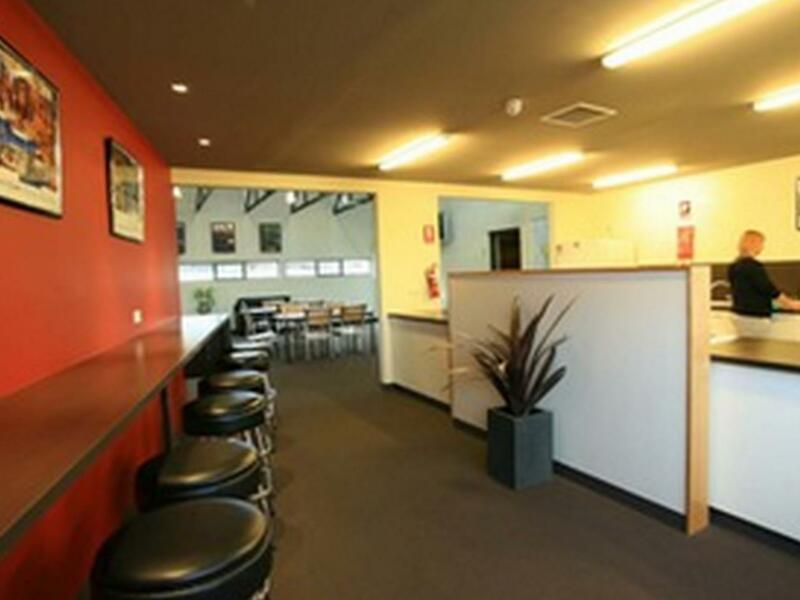 nice cozy backpackers located on the main road - Tasmanian highway, very easy to find. walking distance to shops and restaurant and nice beach. very clean and staff very friendly, only bad point: just 1 common bathroom with 2 showers/2toilets for all the guests. the dog, the daughter, overall facilities are ok. Overall facilities are ok, guests respect to house rule and add manpower can make the place better. guests are not considerate left shaved moustache in the basin. female shower very slow, or you could say they are not functioning well. some guests do not clean their dishes left over for owner. do not explain to guests for cost of lien cost caused misunderstanding between guests. My stay in Swansea Backpackers was extremely satisfying. This hostel is really clean and the first impression of entering the place is that it is a quiet place. The friendly staff showed the place around and the room was nicely presented. I certainly enjoyed my stay here. However, for ladies who need to wash your hair, do not take long as they state that the shower will reduce its flow rate after 5 minutes of turning on.